Invest enough time to clean your door, particularly when you are someone who resides in a coastal area near the sea. There is too much of moisture and salt in the air and this tends to spoil the door. If you do this every month, this not only makes your door seem great but it also keeps you from recoating it with a fresh new paint. It isn’t too time-consuming when it comes to cleaning the door. You can just use baby shampoo or dish soap along with lukewarm water and use a cloth that’s lint-free to scrub the door. You can remove dust and dirt in this manner, the door will look new even after years. Proper lubrication can make enough difference to the health of your door. The moving parts like the hinges will have to be focussed on and you can also maintain the rollers and tracks to make them noise-free and easily operable. In order to make your door function properly, you should use a proper lubricant. Choosing a wrong lubricant and damage your door and the door materials. Inspect the locks to ensure that there are no problems like rust, dirt or defective mechanisms. § Moisture: Whitish marks or dark streaks in the grain could mean a moisture build or a damaged finish. Moisture can rot your doors if you don’t take care of it. § Timber frames: If you have timber door frames, you should check them for cracks which need to be fixed and is also perfect for keeping the door in the best shape. 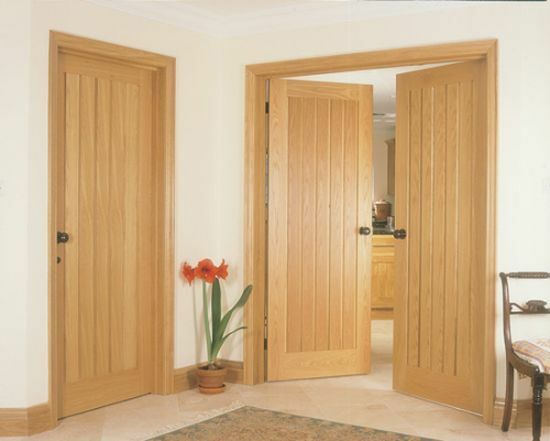 § Finishing: It’s vital to take care of the entire condition and state of the door. As the finish safeguards the wood, it has to be kept in perfect shape. You have to check for cracked, faded or chipped finishes so that the door doesn’t have any raised surface. Therefore, when you’re thinking of maintaining your door, you can take into account the above listed tips and strategies to keep them from aging.